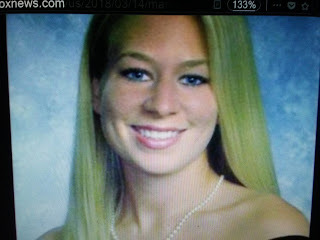 Don't know if this was involved with Natalee Holloway. But, he was a bad dude for sure. Fox News reports authorities in southwestern Florida said Wednesday that a man who claimed he disposed of missing teenager Natalee Holloway's remains in Aruba was fatally stabbed by a woman he was trying to kidnap. Police in North Port, approximately 60 miles south of Tampa, said 32-year-old John Christopher Ludwick was pronounced dead at a local hospital after 7 a.m. Investigators say Ludwick attacked the unidentified woman in her driveway and was stabbed in the ensuing struggle. Authorities said Ludwick and his would-be victim knew each other, but declined to elaborate.